We are proud to share with you a list of our highly valued sponsors and may we take this opportunity to thank them for there continued support. 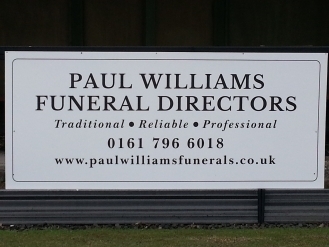 With prices starting from £75 per annum , we offer different packages tailored to your requirements and offer advertising boards around the green. we offer excusivity for each trade and a internet presence on our website. Just supply us with your graphics and we do the rest. In addition to advertising around the Bowling Green many companies choose to sponsor tournaments and attach their name (resultz.co.uk open tournament) invite clients to the final and benefit from the associated national press it receives.